This is actually a show-concept I started playing with intermittently half a decade ago (before I became a Hacker Public Radio contributor), where I would find a scientific paper that was either over-hyped in the news OR (preferably) was about such an ordinary piece of useful scientific work that nobody’s University PR Department bothered to turn it into a breathless press release, and then record a “science news” show episode about that publication, discussing what the researchers were testing, the actual methods they used, and the actual results and conclusions they published. Hacker Public Radio needs shows, so I dusted the main content of this particular episode of the old show off, wrapped it in some new commentary for HPR, and uploaded it. Hardly anybody heard my previous attempts to self-publish this stuff, so it’s practically a new episode anyway – the portion of HPR’s audience that actually hears this is probably two and maybe even three orders of magnitude higher than its total audience in the last five years. I’d be interested to know if Hacker Public Radio would like to hear more of this kind of show – I still want to record more like this (and I have one or two others from a while ago that may be good enough to similarly dust off and republish), so I might make it a recurring HPR feature if that’s desirable. Let me know. This will be Hacker Public Radio Episode#1513. The publication discussed in this episode is “Ding WK,Shah NP:”Effect of Various Encapsulating Materials on the Stability of Probiotic Bacteria”;2009;J. Food Sci. ;vol.74 #2; pp M100-M107. I’ve also been doing some updates to the “Potentially Upcoming Shows” topic list if anyone wants to comment on and/or advocate for and/or express disgust over any of the existing ones, or suggest new ones. 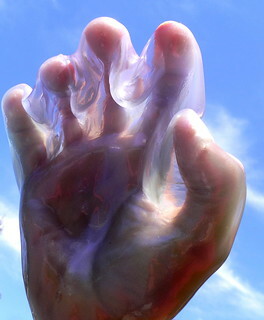 Image Credit: “She Slimed Me” by Paul Jurvetson. Link for the image goes to the flickr page for it. Enjoyed tremendously. Do more. Thanks.